The Carolina Cobras are proud to announce for the 2019 season, all home games will be televised on MY48. "This partnership allows us to expand our brand in the Triad area while introducing the great game of Arena Football to new fans. We have such amazing partners that will also get to benefit with their brand exposure along with us. We feel that if we all work together then everyone has the opportunity for success." said Brian Schmidt, Vice President of Business. 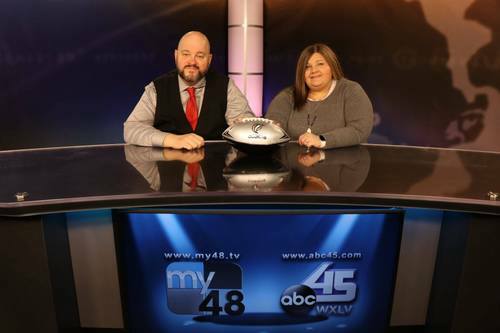 Beginning Saturday May 4th, Coach Back and the Carolina Cobras players, will be featured on MY48 at 12:30 pm called the Cobras Weekly, tune in and watch how Coach Back is getting ready to bring a victory to our fans.